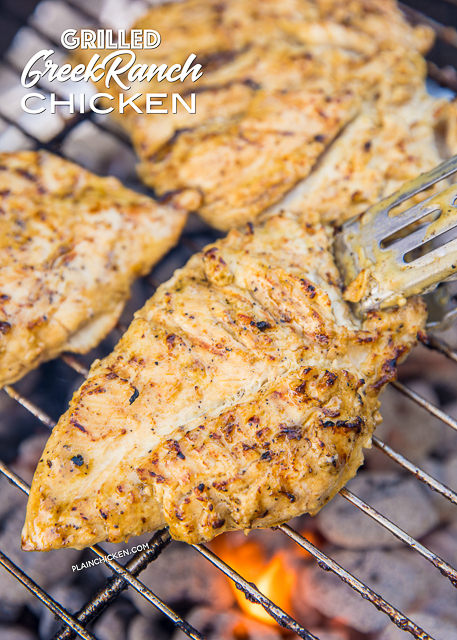 This Grilled Greek Ranch Chicken is a new favorite! We've made this several times over the past week and just can't seem to get enough of it. It is great as a main dish and leftover chopped up on top of a salad or in a wrap. The chicken is super tender and packed full of amazing flavor!! I've mentioned this before, but just to refresh everyone's memory. 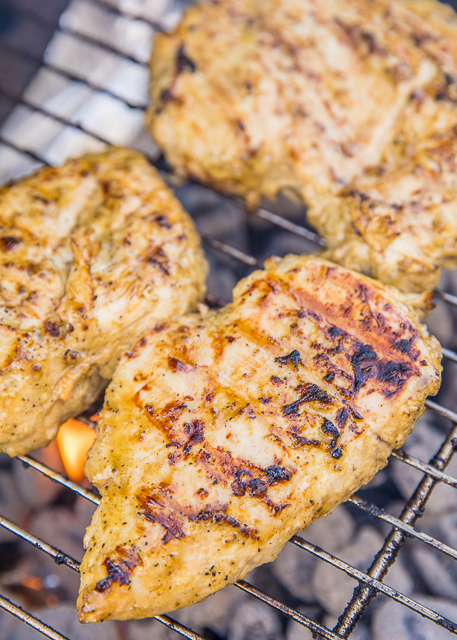 The key to tender and juicy grilled chicken breasts is to pound the chicken to an even thickness. You want to use a meat mallet to pound out that top hump. This makes sure that the chicken cooks evenly. You won't have one dry end and one cooked end. The whole breast will cook at the same rate and taste amazing! 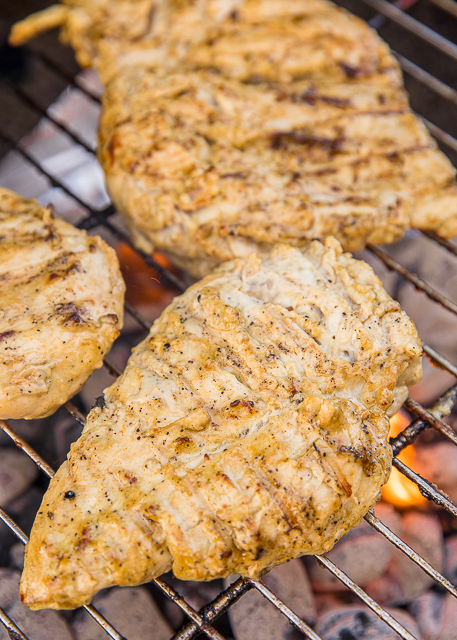 We let this Grilled Greek Ranch Chicken marinate overnight in the refrigerator. I almost always mix up the marinade before I go to bed and let the chicken hang out in the fridge until we are ready to grill. The longer the chicken can marinate, the more flavor the chicken will have. We always go for maximum flavor! In a medium bowl, stir together the olive oil, ranch dressing, Worcestershire sauce, Greek seasoning, lemon juice, and white vinegar. Pound chicken breast to 1/4" thickness. Place chicken in the gallon size ziplock bag, and stir to coat with the marinade. Cover and refrigerate for at least 8 hours (all day). We made this last night and it was a HUGE hit! So tender, flavorful and moist after marinating overnight. So good. 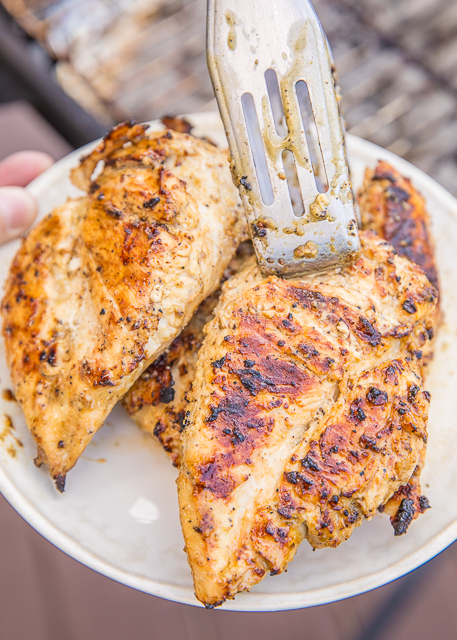 A new family favorite marinade from a household that eats a LOT of chicken!